Through the voices of Annabelle and Angus, discover what almost happened to wildlife on the Kansas prairie. When Larry receives a letter that says he must destroy the prairie dogs on his land, he and some of his neighbours join together to make certain that all wildlife remain unharmed. Not only were black-tailed prairie dogs at risk of destruction but the already-endangered black-footed ferrets were at risk of becoming extinct. This is my first children's e-book. I have a 5 year old kid and I planned to read this to him by showing illustrations. 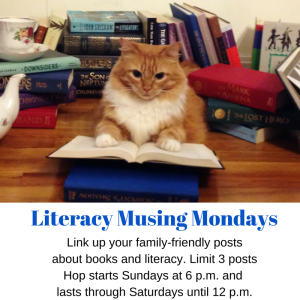 Story is about Larry, who saved the Prairie and the wild life living there. It talks about the importance of wild life in keeping our eco-system balanced. 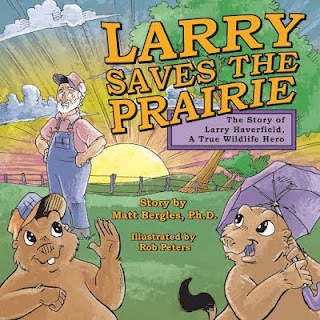 Two black tailed prairie dogs - Angus and Annabelle narrate the story on how Larry saved the wild life. There was a tradition of poisoning the Prairie to kill wild animals. Larry fights against this killing of animals in Prairie and explains the benefits of wild animals in our ecosystem. This story tells us the importance of preserving wild life. As the author mentions, it's based on the real story of Mr.Larry Haverfield. Illustrations are appealing for children and good. But, this is not for year old kid as terms are quite difficult to explain for that age group. It might be good for 7 to 10 years old. I would recommend this to children in the age group of around 6 to 7 years old. PS: I have received this free review copy from the author through Reading addiction book tours and this is my honest opinion.